This book’s original title was Imperialism, and one can only regret that the publisher didn’t keep it, for that is its theme. 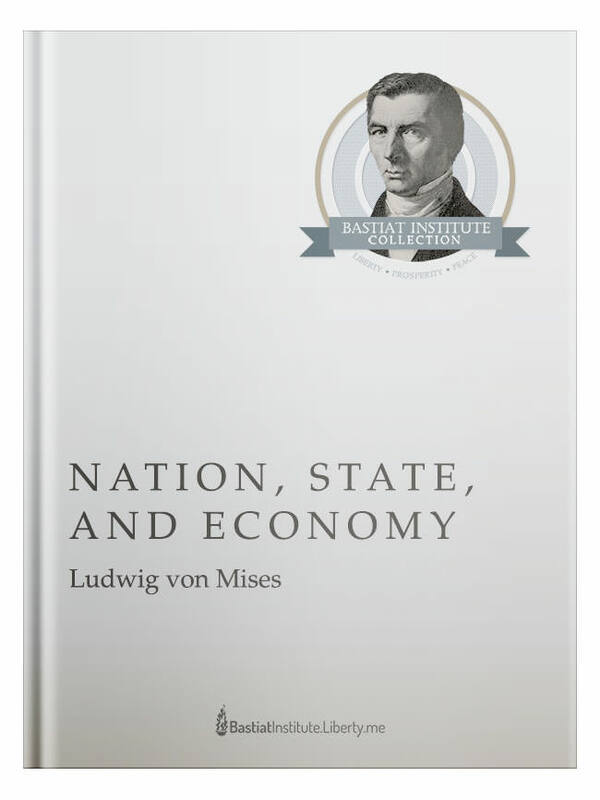 Ludwig von Mises’s second book, Nation, State, and Economy was written following Mises’s military service in World War I. It is also his first book to deal with political themes — and it began his full-scale launch into the fight against collectivism that would be a theme of his later writings. In Nation, State, and Economy, Mises takes up the question of the proper political order to sustain peace in the age of democracy. It was published less than a year after Austria’s defeat in World War I, and examines and compares prewar and postwar political and economic conditions. Unlike so many at the time, Mises argues that each country’s prosperity supports rather than undercuts the prosperity of other countries. Mises recommends a radical vision of laissez-faire combined with a commitment to self-determination that would lead to a break up of the old imperial structures. It is in this book that Mises first advances his idea of secessionism: Every people group ought to be permitted to choose their own political arrangements, even if they end up in tiny geographical units. With free trade, smaller units of government become completely viable. This is also Mises’s first attack on socialism, specifically war socialism. He shows that it will destroy a country and lead to complete chaos in economic organization. He provides the definitive case that war socialism is real socialism, and not qualitatively different from other forms. Also notable is Mises’s pioneering theory of the relationship between language and nation. No matter what the state may attempt, our national identities preexist the political order. In this book, Mises makes a case for a form of “nationalism” that will lead to ever smaller units of government. The reader can’t help but be impressed by the erudition on display here. The historical scholarship is masterful. The economic theory underlying the argument is robust. The prose is white hot. Here is a thinker who would be a fighter for liberty his entire life.